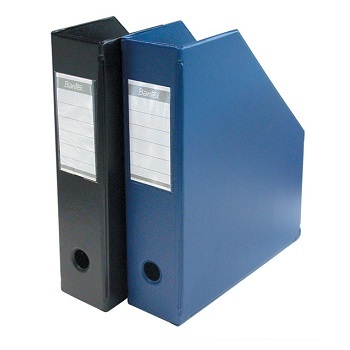 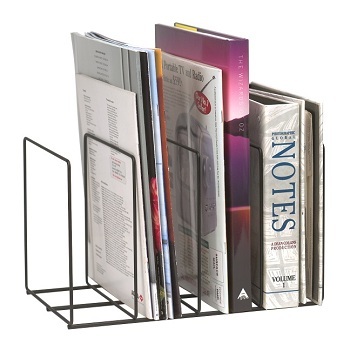 Elegant vertcial storage solution for books, magazines and other documents. 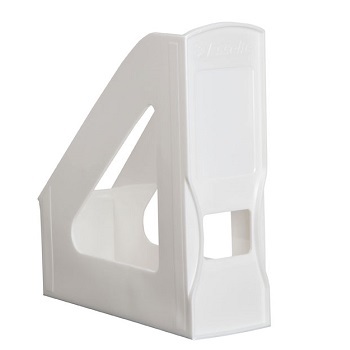 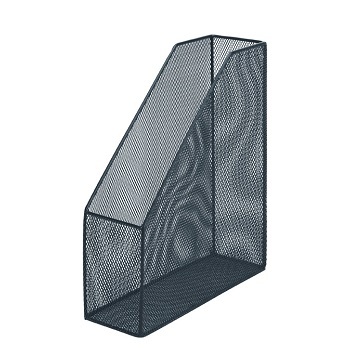 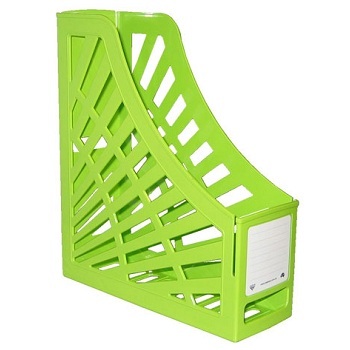 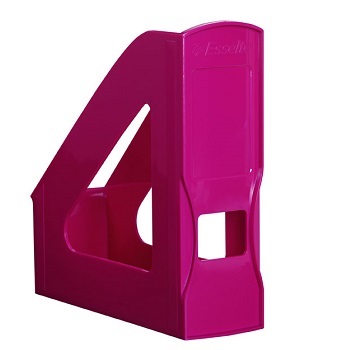 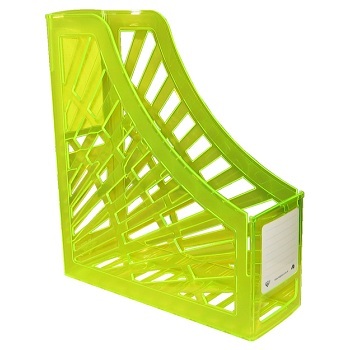 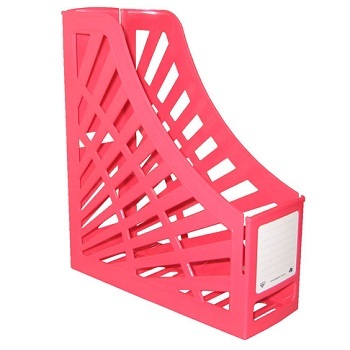 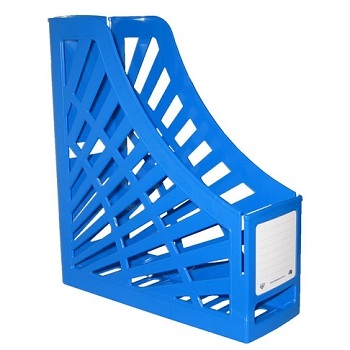 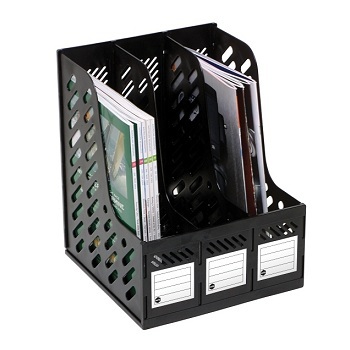 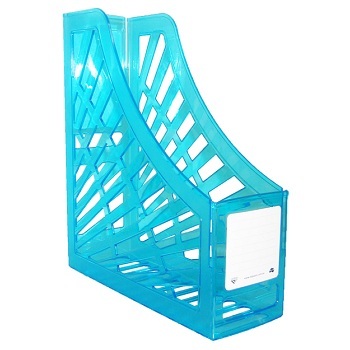 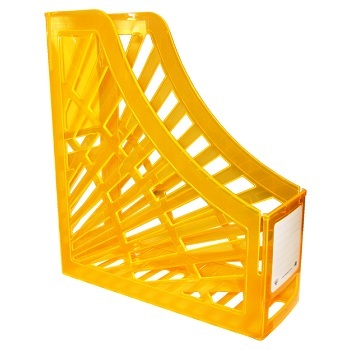 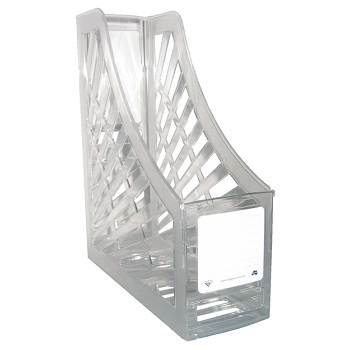 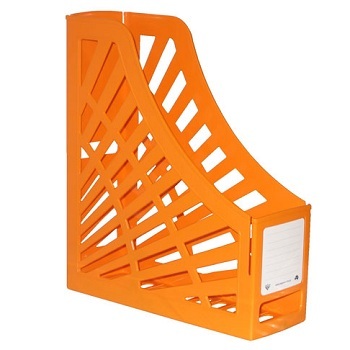 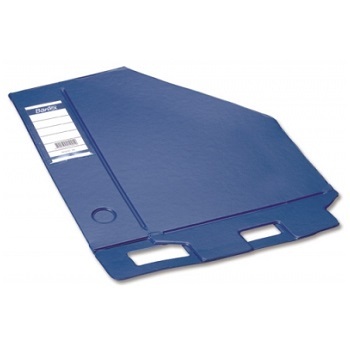 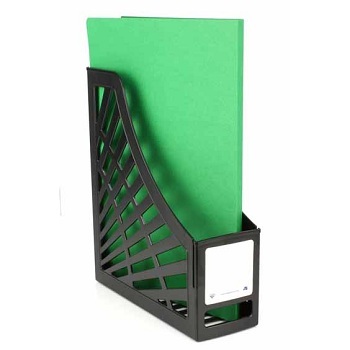 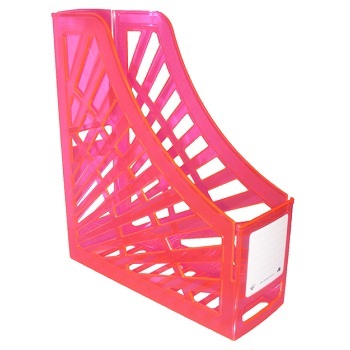 Capacity - 80 mm magazine file / holder. 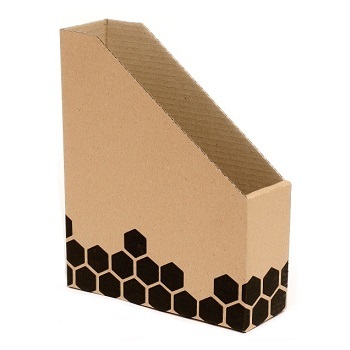 Made of cardboard material with a smooth gloss finish. 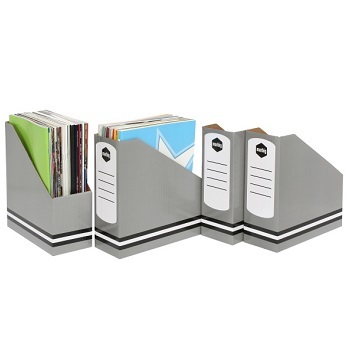 Grey gloss finish with black and white accents. 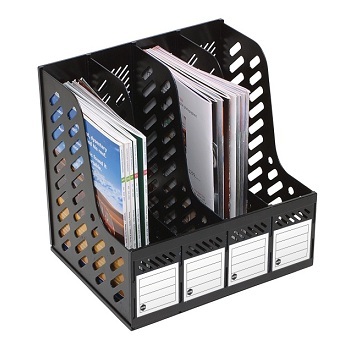 Shrinkwrap pack of 4 magazine files. 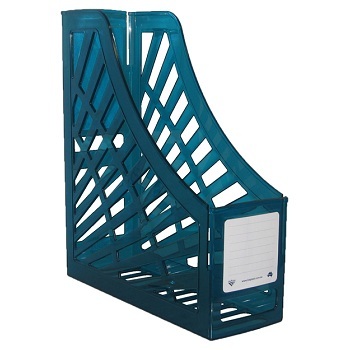 Made from durable, waterproof PVC covered rigid board with reversible, replaceable spine label and finger hole.